The body was designed by Pininfarina, as with all recent Ferrari models. The car’s exterior styling and features were designed for aerodynamic efficiency, producing a downforce of 140 kg (309 lb) at 124 miles per hour (200 km/h). In particular, the front grille features deformable winglets that lower at high speeds, in order to offer reduced drag and increased downforce. The car’s interior was designed using input from former Ferrari Formula 1 driver Michael Schumacher, including a new steering wheel design which incorporates many features and controls as opposed to their being on the dashboard, similar to racing car designs. 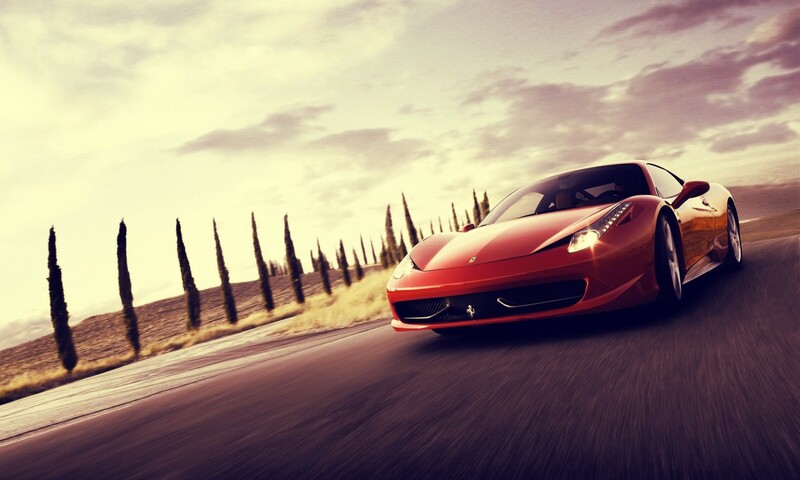 The 458 was also reviewed on 15th season of Top Gear, where it received acclaim for its styling and performance. In a drag race against a Ferrari F430, it won by a considerable margin. The car also lapped the Top Gear test track in 1:19.1, just 0.1 seconds slower than the Ferrari Enzo. Posted On February 20, 2013 October 12, 2013 in Uncategorized with 0 Comments.